Cycling enthusiasts at the brand new OCBC Cycle 2015 will be in for a treat, as a new high-speed, spectator-friendly race format called the OCBC Cycle Speedway Championships is unveiled. It promises to be a favourite among participants and fans alike! Comprising the OCBC Cycle Speedway Club Championship and the OCBC Cycle Speedway SEA Championship, this new relay-format race category is part of the inaugural OCBC Cycle 2015. 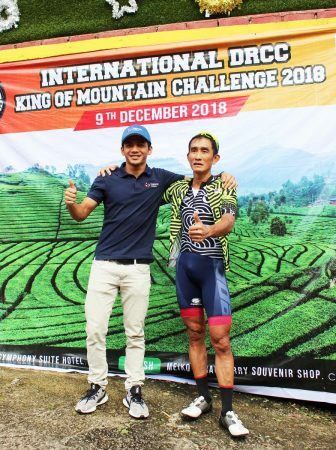 It will debut on Saturday, August 29th Sports Hub, and will see the best riders from the region – as well as top cyclists from the local cycling clubs – pit their skills against one another. 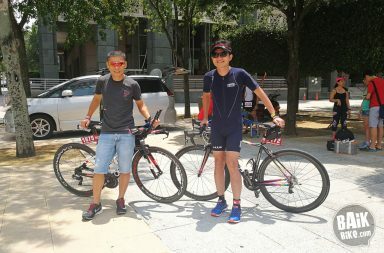 “In another first, we are introducing a competitive category for the more serious cyclists here that will mirror the one for regional cycling professionals; the format for the OCBC Cycle Speedway Championships will see teams square off in knock-out rounds of intense competition. It will be a spectacle to thrill any audience.” said Mr Samuel Tsien, Group CEO, OCBC Bank. The new format will see four-cyclist teams ride a total of 10 laps in pairs around a fast 1km course. The first two cyclists will ride five laps before the second pairing finishes off the remaining laps. 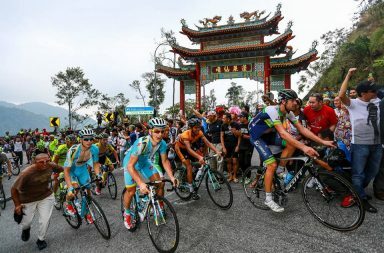 To derive the official race timing, a team is clocked from the start to when its third rider crosses the finish line. The OCBC Cycle Speedway SEA Championship will see teams from Southeast Asian nations battling out in two qualifying heats, each pitting five teams against each other. The top three teams from each heat will progress to the semifinal, where the six teams will battle it out in a single round to determine the three finalists. The finalists will then face off to determine which team will be crowned the Champion of Southeast Asia, taking home a cash prize of S$6,000. 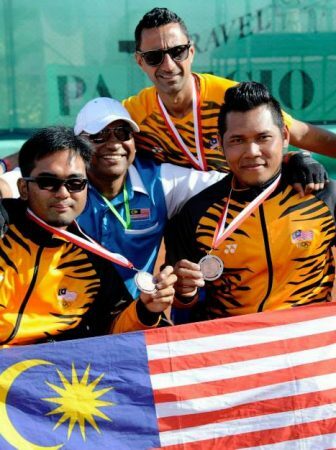 The second and third-placed finishers will win S$4,000 and S$2,000 respectively. In the OCBC Cycle Speedway Club Championship race, a total of 15 local cycling teams will compete in a similar format. There will be three qualifying heats involving five teams each, with the top two teams in each heat will progress to the semifinal. Cash prizes of S$800, S$600 and S$400, will be awarded to the 1st, 2nd and 3rd placed teams respectively. The three winning teams will also receive Vertix Velo wireless cycling headsets worth $268 each. The winners from both championships will be invited to ride in Sunday’s Champions Wave at the head of the mass-participation Sportive Ride. Kicking off the event on Saturday morning, August 29th, are the Mighty Savers® Kids Rides catering to youngsters aged 2 to 12 years old. 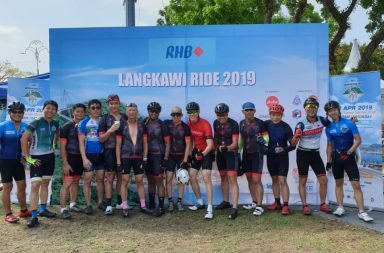 The action will continue on Sunday morning with the mass participation rides – The Sportive Ride (about 42km) and The Straits Times Ride (about 23km). 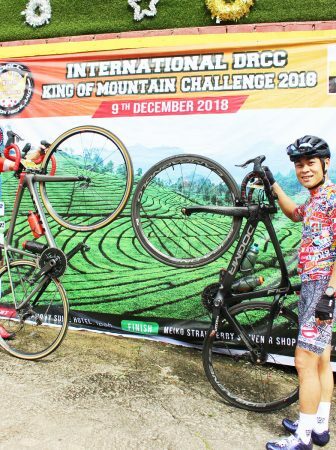 These rides will offer individuals and corporations the priceless opportunity to be among the first to pedal across the finish line at the National Stadium on two wheels. In conjunction with the SG50 celebrations, all 50-year-old participants automatically qualify for a lucky draw. Fifty winners will each win a New Moon goodie bag worth more than S$100, consisting of New Moon New Zealand Abalone, New Moon Birds’ Nest and New Moon Essence of Chicken. These winners will also have their registration fees refunded. At the launch of OCBC Cycle 2015 at OCBC Centre today, the first 150 registrants received discounts of up to 25% off their registration fees as well as OrchardGateway shopping vouchers worth up to S$200. Online registration commences on 10 March 2015. Depending on his or her event, every registrant will stand a chance to win watches worth between S$70 and S$5,000 each, courtesy of Cortina Watch. To help raise funds for and increase awareness about the beneficiaries of the OCBC Cycle charity programme – The Business Times Cycle of Hope Charity Programme – participants and members of the public can participate in a donation drive that will take place in two stages. More details about OCBC Cycle 2015 can be found on on their website.